DENVER - Police have reopened the investigation into the shooting death of a Colorado woman whose family believes her husband killed her and a law enforcement officer helped him cover it up, CBS Denver reports. 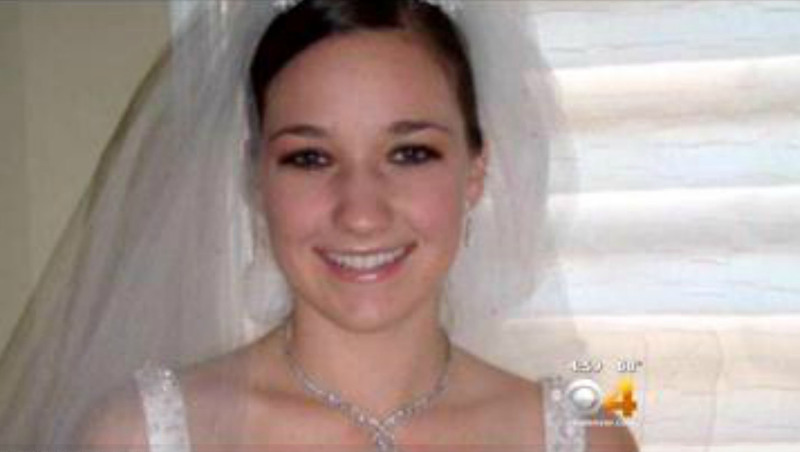 Ashley Fallis was 28 years old when she was found dead on New Year's Day in 2012 in her home in Evans, Colo. Her death was ruled a suicide from a self-inflicted gunshot wound. But her parents say statements from key witnesses were changed or omitted from the original police report, including a statement from Fallis' own 6-year-old daughter. "Quote, 'I saw daddy getting the gun ready' and that she said, 'Quote, saw daddy shoot mommy,'" family attorney Daniel Recht said Thursday at a news conference where Fallis' parents laid out their suspicions. According to Recht, neighbors also said they heard Fallis' husband, Tom Fallis, claim that he shot his wife on New Year's Eve in 2011.Tom Fallis has maintained his innocence. He now lives in Indiana with the couple's three young children. But his wife's parents contend that Tom Fallis, who was a law enforcement officer in Evans at the time, killed his wife and then got an Evans police detective to cover it up. Evans Police Chief Rick Brandt confirmed that he has asked Fort Collins police to review the case. Loveland police also are investigating allegations that the detective omitted witness statements from police reports and tampered with other evidence. Brandt said he could not comment further on the case. The Associated Press said attempts to reach the detective were unsuccessful. Ashley Fallis' mother said the reopening of the case is a bittersweet victory for the family. "As a mother, (I'm) crying and screaming and elated, and it's very hard to be happy with something like this when our daughter is not here," said Jenna Fox, Fallis' mother. The parents said they have never given up hope that the truth about Fallis' death would come out. "Keep continuing to believe and have always believed that at one time the truth would come forth and that time is now," said her father, Joel Raguindin.